Why should you choose an expensive wedding photographer more over a cheaper one that appears to offer the exact same deal on paper? Why choose a photographer that gives you only 200 – 250 high resolution photos instead of the one that offers the whopping 600 for the fraction of the price? These are some of the most debated questions we photographers deal with every day. But instead of me trying to explain why some photographers are so expensive, let’s first look at why budget photographers are so cheap. Almost all new wedding photographers have low prices in order to book weddings so they can begin to build a portfolio. The unfortunate thing is that even though they may have awesome talent and a good eye for shooting landscapes and flowers, they will make plenty of mistakes and you, on your special day, will end up with poor results. Weddings are fast paced and unpredictable, they not allow for reshoots. So ask yourself: Am I willing to risk my precious wedding photos on a person that is still learning and building up experience? What will bring you back to that lovely day? Yes, you are right – memories. When you look at your wedding photos you will wish you had professional photos that expertly captured all feelings and details of your wedding day. With the advent of the digital age and the low prices of entry level Digital SLR Cameras and lens kits, becoming a wedding photographer (or should I say part-time wedding photographer) has never been easier. So instead of making a full-time career swap, you can now “test” what used to be a hobby, for a while – and it won’t break the bank. Top photographers have the best professional equipment and carry at least 3-5 of these to ensure good lighting when needed. And they know HOW to use it, because their cameras are not from a rental office. A cheap photographer probably is very likely to have no back-up camera or other equipment. But the camera equipment is only half of what is needed to fulfill the job. The editing is where a lot of the magic happens. Most cheaper photographers will not spend the huge amount of money on decent editing software and for a good quality computer and color true monitor to run it on. 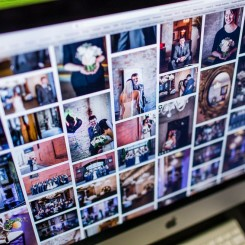 I can also guarantee you that most of them do not make a backup of your wedding, so if his/her computer goes up in flames, so will your photos! Now that we know why some photographers are so cheap, let’s explore the reasons why others are so expensive. All expensive photographers are full-time photographers. Doing photography full-time means you probably channel most of your time and energy to the development of your skill and product. Did you know that the physical act of taking the photos only makes up 15% of our job? The editing of photos and producing albums account for another big chunk. The rest of the time is spent on the things all businesses have to do, like administration, marketing and networking. I recently had a prospective client ask me: What do you mean by editing? At first I was offended that she did not know about the single thing that takes up most of my time – but then I realised that few people outside the photography business know how much is done to the original RAW photo before the beautiful end result is achieved. Apart from the 7-9 hours we spend covering the wedding, 7-10 more days are spent in editing the photos! Also, in order to stay at the top of his or her game, the photographer have to continually read and stay adept with new equipment and the technicalities of the job – all to make your photos look better. There are certain skills that can only be acquired with experience. Split second decision making is required when all does not go to plan – unexpected weather changes, equipment failure, accidents, delays. But for the seasoned photographer, these situations are easily dealt with, as they’ve probably experienced a similar problem. But it’s not only the problem solving skills that comes with experience, it’s also the knowledge of how the behaviour of light changes in different locations, the familiarity of working at the top wedding venues, the luxury of knowing other service providers (videographers, wedding planners, make up artists, etc.) that might affect your ability to capture the day, the anticipation of where to be to get the best shot, and so much more. Be warned, comparing quotes and choosing the one that seems like the best deal on paper will come back and bite you more often than not! Rule of thumb – the fewer high resolution photos your photographer give, the better quality you can expect – it’s actually a quite simple rule – if he gives less photos, then he has more time to spend perfecting the photos you get. The little word “Album” can be compared to the word “Car”. A City Golf and a Bentley are both cars – get it? 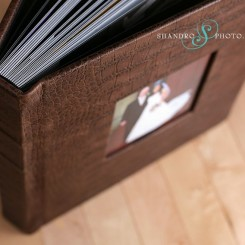 Most expensive photographers produce quality and durable luxury handmade albums; albums that would last a lifetime. But albums like these come with a price tag and this is worked into the “expensive package”. – He/She is talented artist! Photography is not just a business! – He/She has built up experience, skill, and expertise over a number of years and probaly hundreds of weddings! – He/She uses the latest professional equipment that will help achieve superior quality end results! – He/She spends more time on your photos, to make sure it is of the highest standards! 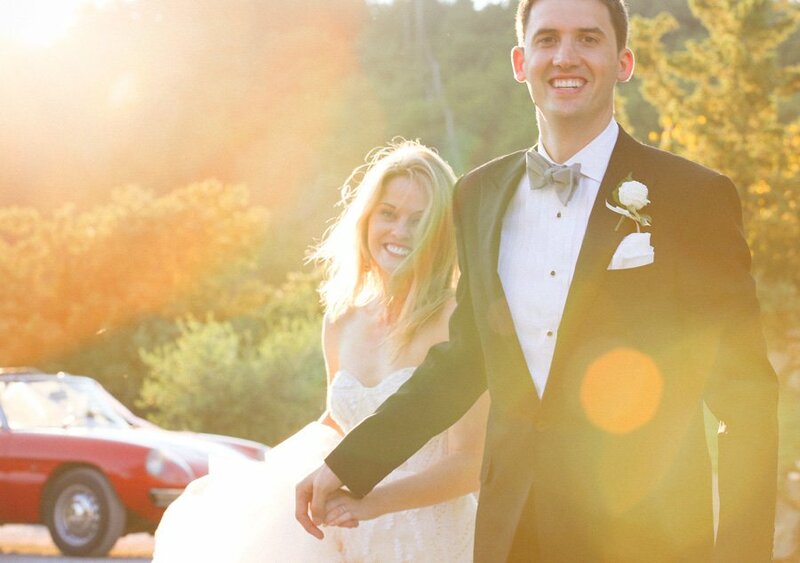 – He/She always has backup equipment and backs up your wedding photos in more than one place! Should You Include Pets in Your Wedding Photos? great article and fab points! Excellent article, well written and very objective. I will recommend it to brides !!!! Thank you for writing this article. I’ll be sharing it with brides and grooms to be. So they can read it and educate themselves more on wedding photography and value of it. Thanks for publishing this very important article! Please share this!